The Samsung CLP-680ND Color Laser Printer uses Samsung RECP technology and new polymerized toner, thus providing highly professional print results with print speeds of up to 24 pages per minute. (Windows) 10 (32-bit) / 10 (64-bit) / 8.1 (32-bit) / 8.1 (64-bit) / 8.0 (32-bit) / 8.0 (64-bit) / 7 (32-bit) / 7 (64-bit) / Vista (32-bit) / Vista (64-bit) / XP (32-bit) / XP (64-bit) / server 2012 / server 2008 / server 2003. (Macintosh)OS X (Mavericks) v10.9 / OS X (Mountain Lion) v10.8 / OS X (Lion) v10.7 / Mac OS X (Snow Leopard) v10.6 / Mac OS X (Leopard) v10.5. CLP-680 Series Print Driver, V (3.13.06.00:32) – (Windows) 10 (32-bit) / 10 (64-bit) / 8.1 (32-bit) / 8.1 (64-bit) / 8.0 (32-bit) / 8.0 (64-bit) / 7(x32) / 7(x64) / Vista(x32) / Vista(x64) / XP(x32) / XP(x64) / server 2012 / server 2008 / server 2003 – Size (38.54 MB). Print Driver Post Script, V (2.01.09.26) – (Windows) 10 (32-bit) / 10 (64-bit) / 8.1 (32-bit) / 8.1 (64-bit) / 8.0 (32-bit) / 8.0 (64-bit) / 7(x32) / 7(x64) / Vista(x32) / Vista(x64) / XP(x32) / XP(x64) / server 2012 / server 2008 / server 2003 – Size (46.76 MB). 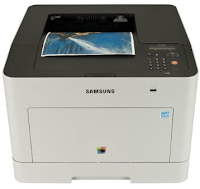 Samsung Universal Print Driver, V (3.00.13.00:04) – (Windows) 10 (32-bit) / 10 (64-bit) / 8.1 (32-bit) / 8.1 (64-bit) / 8.0 (32-bit) / 8.0 (64-bit) / 7(x32) / 7(x64) / Vista(x32) / Vista(x64) / XP(x32) / XP(x64) / server 2012 / server 2008 / server 2003 – Size (25.31 MB). CLP-680 Series Print Driver, V (5.02.00) – (Macintosh) OS X v10.9 / OS X v10.8 / OS X v10.7 / Mac OS X v10.6 / Mac OS X v10.5 – Size (7.70 MB). CLP-680 Series Print Driver, V (1.00.39_01:17) – (Linux) x32-bit / x64-bit – Size (14.72 MB).